Natural changes in the environment are responsible for about 40 percent of Arctic sea ice loss, while humans are to blame for the rest, a climate study said on Monday. PARIS: Natural changes in the environment are responsible for about 40 percent of Arctic sea ice loss, while humans are to blame for the rest, a climate study said on Monday. The paper, based on model simulations of different climate conditions, was a rare attempt to quantify the relative contributions of humans and Nature to the dramatic decline and could have a major impact on future research. Understanding all causes of the sea ice retreat is crucial for accurately projecting the rate of future loss, and trying to slow it. Scientists have long accepted that natural changes in the environment, such as atmospheric air circulation, were at least partly responsible. But its relative contribution, and that of human-induced global warming, has been fiercely debated. 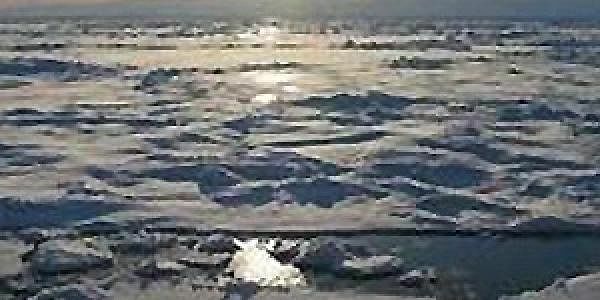 The new study concluded that up to 60 percent of sea ice decline since 1979 was caused by summertime changes in atmospheric circulation. About 70 percent of the air flow changes, in turn, were the result of natural variability, not human-caused climate change. Taken together, this meant that between half and two-thirds the sea ice decline was attributable to climate change, said the American team. Natural variability, on the other hand, "dominates the Arctic summer circulation trend and may be responsible for about 30-50 percent of the overall decline in September sea ice since 1979," they said. Commentators not involved in the study said its findings do not call into question whether human-induced planet warming has contributed to Arctic sea-ice loss. "Realising that humans have caused 50-70 percent of the decline is not good news," said Twila Moon, a lecturer in Cryospheric Sciences at the University of Bristol. "Continuing to put carbon dioxide and other emissions into the atmosphere is having a direct negative impact on the Arctic, including sea ice," she said via the Science Media Centre in London. Chris Rapley, a professor of climate science at University College London, said the study helped explain why Arctic sea ice was disappearing faster than most climate models predict -- they underestimated the contribution of natural drivers. Models for future predictions will have to be adapted, according to the findings published in the journal Nature Climate Change. Last month, US government scientists said Arctic sea ice cover in January was 13.38 million square kilometres (5.17 million sq. miles) -- 1.26 million sq. km. below the 1981–2010 average. This was the smallest January extent since records began in 1979 and 260,000 sq. km. (100,000 sq. miles) smaller than the previous low recorded in 2016. Sea ice, floating slabs of frozen ocean water which grow in winter and melt in summer, provides an essential platform for hunters -- humans and bears alike -- and helps moderate the climate by reflecting the Sun's rays. The region is warming at about twice the global average rate.